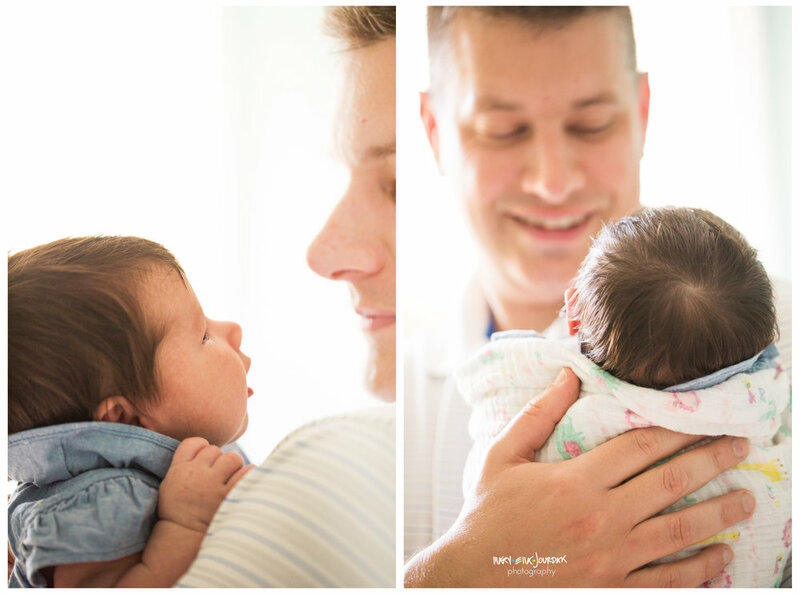 Please give a big ol' hello + welcome to baby Joanna! This sweet little lady joined her family at the end of March, and holy moley, is she a bundle of joy. I met her mama at the local yoga studio, and it was such a lovely experience to visit her whole family at home on such a beautiful spring afternoon. Jojo, as she's been nicknamed, brings so much -- Oh. Oh? What's that? Big brother Marco wants to tell you something? Yeah, hi - he wants to remind you he's also freakin' adorable and will absolutely steal the show if you give him half a chance to do so. Seriously, this little guy was such a ham, and had SO much love for his new baby sister. I just adored watching the two interact. He even took a break mid-shoot to read and put himself to bed (for about a wink of sleep) - apparently being a camera charmer is hard work, y'all. Did I forget to mention Jojo has a whole mermaid thing going on?! 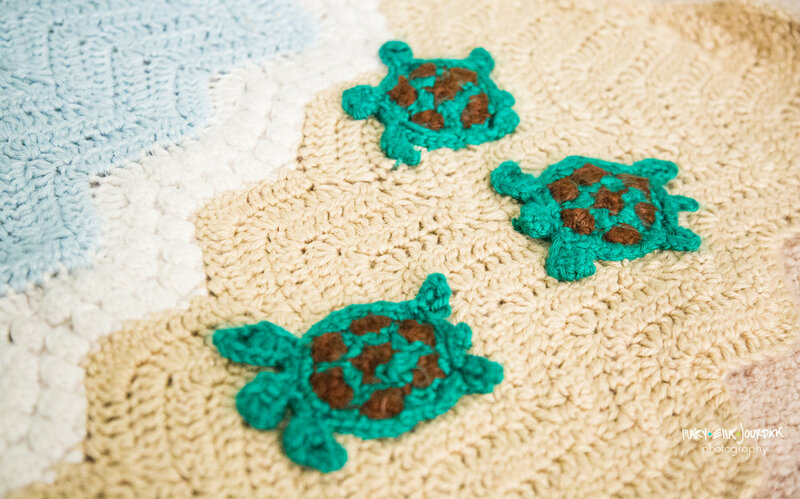 I loved her bright nursery, the colors were so beachy-keen, and y'all know I'm always a sucker for all things aquatic. 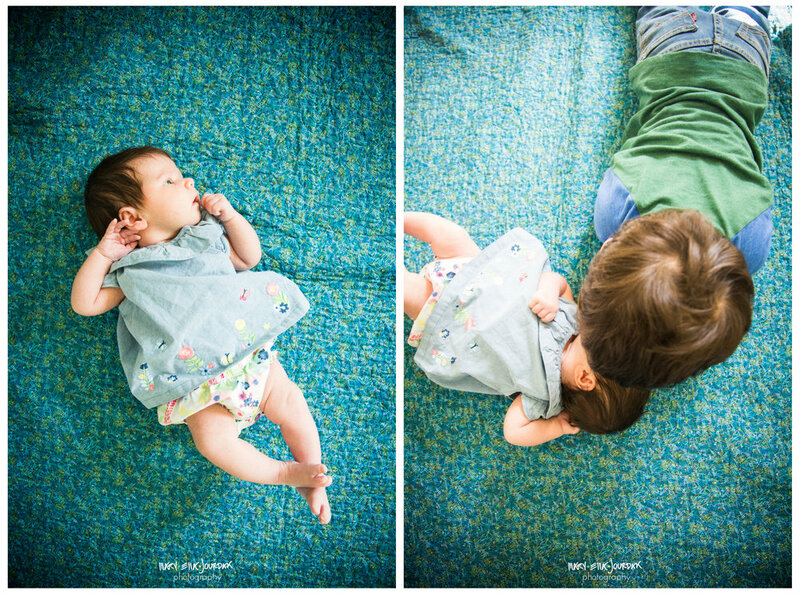 And the third reason that I'm so glad for these photos is that sweet little Miss Willa is a rainbow baby. I'm always humbled to document families in all of their forms and facets, but this was a little extra somethin' somethin' to include and honor Elijah in our session. And we really went rainbow! I loved getting to use fresh flowers that've been really trying to usher us in to spring (even if the weather isn't...) to bring color and texture to some of our photos. 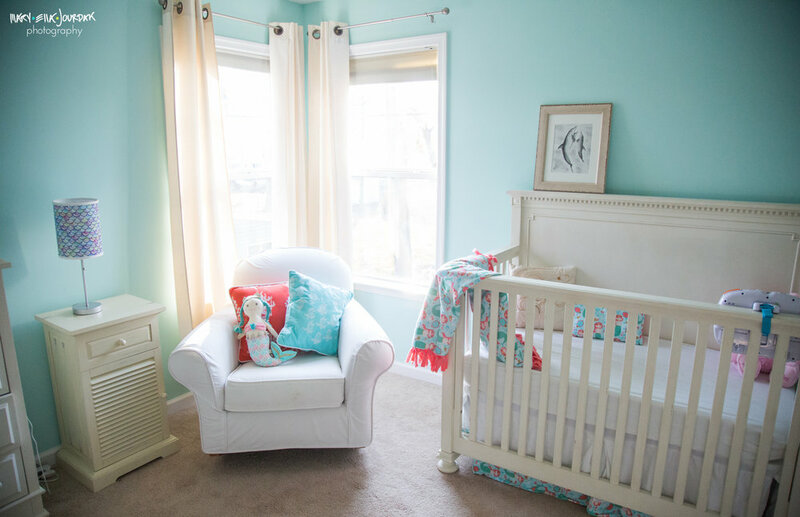 Okkkaay, so first of all - lemme show you this AMAZING nursery. I am just absolutely in love with this natural light, the whimsical paintings, and definitely the collection of books. Okay - now on to the regularly scheduled adorableness! Everyone, say howdy to Logan. This sweet little lady is supremely adored, there was non-stop doting from furry siblings and parents alike during our session. Little moments, like this perfectly timed "Oh. Wow. We made that little rockstar? Heck yeah we did!" bit of joy? Those are my favorite! I'm also a big fan of a fuzzy floor. How cool does Logan look on here? !